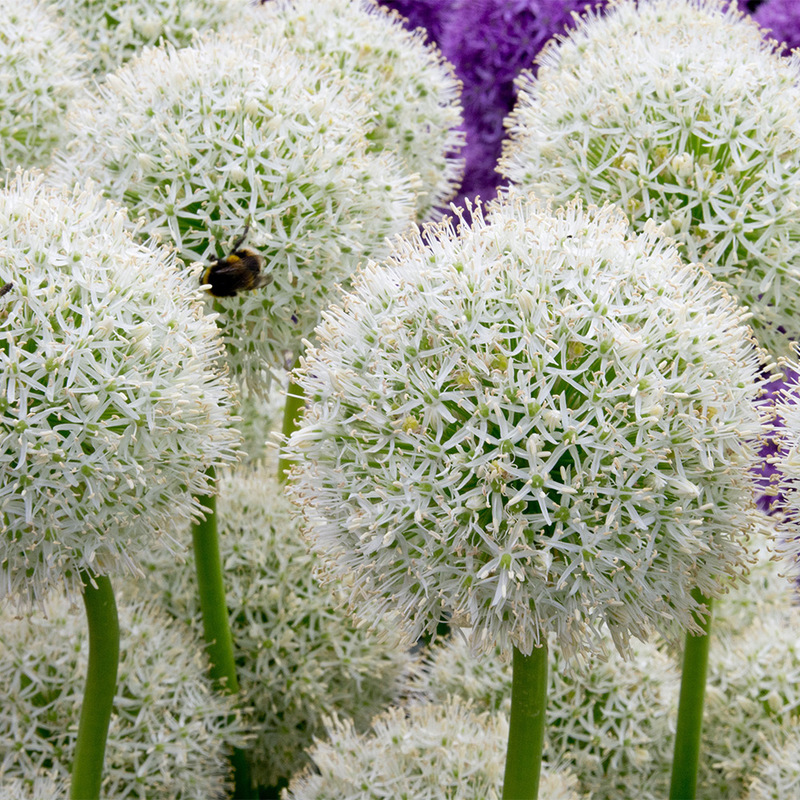 3 Mars (purple) and 3 Everest (white). 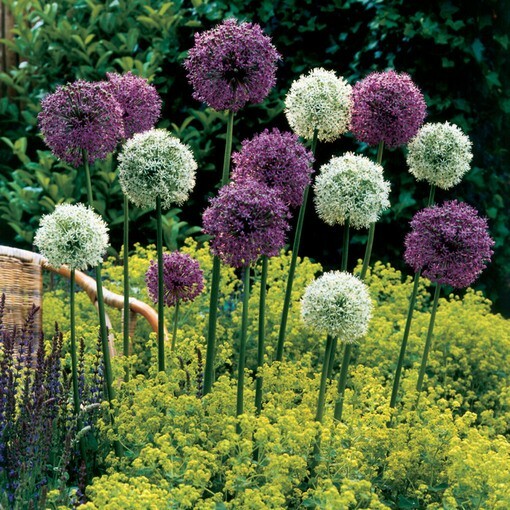 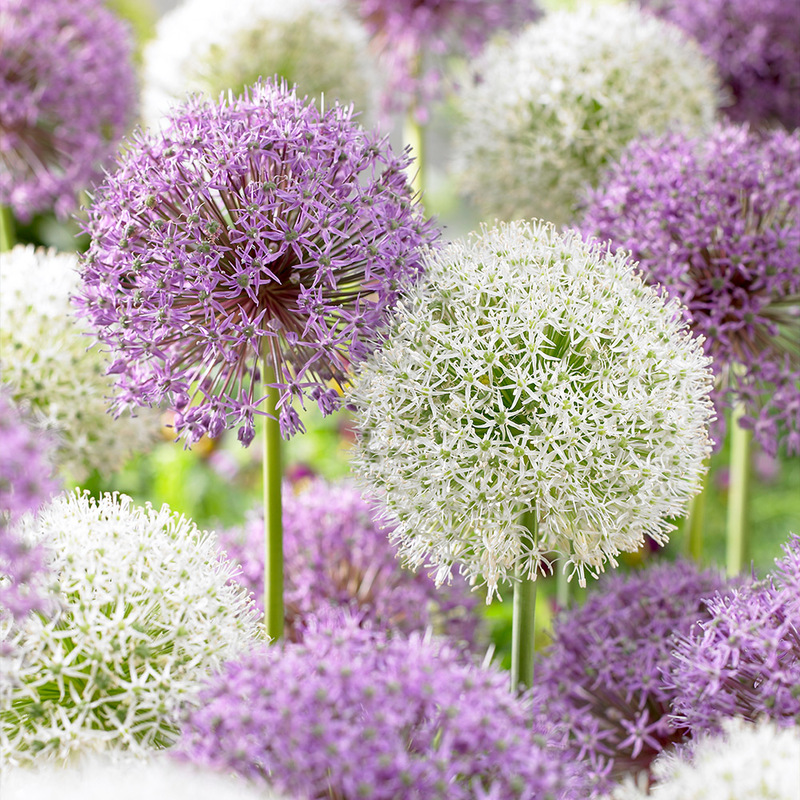 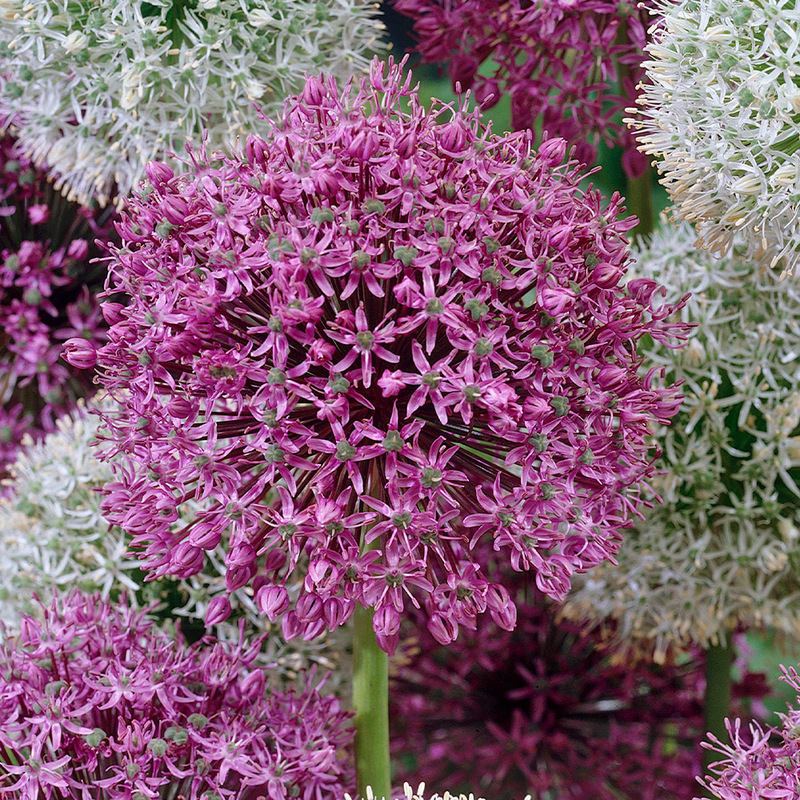 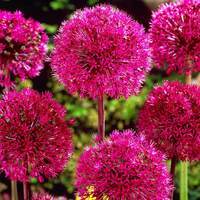 Taller Allium varieties are perfect for the back of a spring garden border. 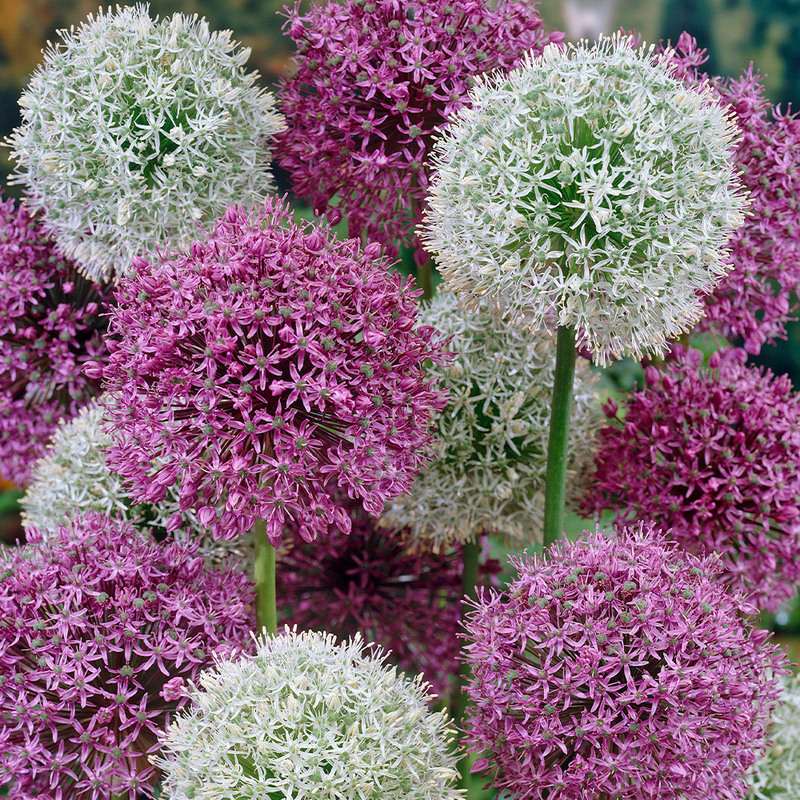 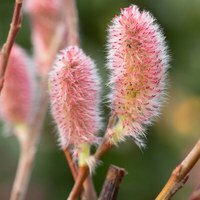 They will stand majestically and act as a backdrop to your Tulips and Daffodils.